McElhenney has featured in several series and movies working as an actor as well as a director which has helped him become a multimillionaire. Let's have a look at the impressive net worth of this talented actor as well as an overview of his career and awards. If you are a fan of the series It's Always Sunny In Philadelphia, you'd definitely be aware of the American actor Rob McElhenney. The path to success was not always easy for Rob who had to struggle initially before he eventually found his breakthrough. 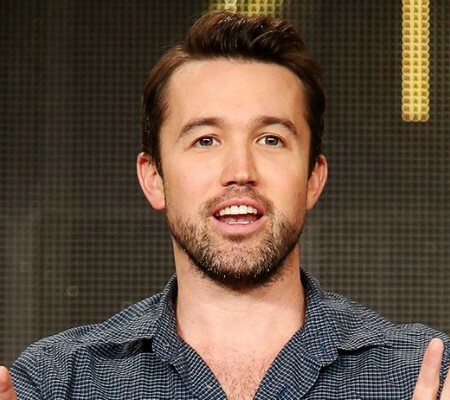 McElhenney has featured in several series and movies working as an actor as well as a director which has helped him become a multimillionaire. Let's have a look at the impressive net worth of this talented personality as well as an overview of his career and awards. As of 2018, Rob McElhenney's net worth is estimated to be $40 million. He has made most of his earnings by performing in several TV shows and Hollywood movies. Rob's annual income is believed to be around $4 million which is much higher than an average American actor. He recently secured a deal to write and direct his first movie believed to be in seven figures with the Legendary Pictures Company. 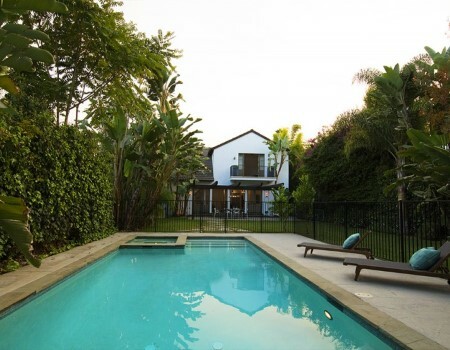 Earlier, Rob along with his wife Kaitlin Olson bought a house in Sherman Oaks, California in 2008. Although the purchase price is not known, this home has been put up for sale by the couple for the price of $2.7 million since November 2017. The open floor plan features refinished hardwood floors and vaulted ceilings. This leaves plenty of space for a late-night game of "Nightcrawlers." The kitchen opens to the living room where a center island and walk-in pantry are featured. All bedrooms are en-suite while the master has a private balcony and a bathroom complete with a Jacuzzi tub. Four sets of adjacent French doors lead outside. There's a back patio that leads to a saltwater pool and spa surrounded by foliage. The four-bedroom home sits behind walls and gates on a quarter of an acre. Moreover, its interior has an area of 4,024-square-foot with skylights and large windows bringing in natural light to it. McElhenney, famous for his comedy acts is quite different when it comes to his tasks. He is a dedicated actor, writer, and director who tends to take his work very seriously. Rob has earned his wealth from numerous TV and film appearances. He is most popular for portraying the role of Mac on the comedy series, It's Always Sunny in Philadelphia. In fact, Rob had even put on excess weight once, even though he was adviced against it by his friends and well-wishers. However, he did it just to make his act funnier in his show. To prepare for the 7th season of Philly, the actor had put on 50 pounds of excess weight. Moreover, his beard was also grown to give his character a funnier image. However, the rest of the cast was not particularly impressed as they looked at his weight increase with disgust. Many were even worried about his health. Rob later lost 23 pounds in a month. This was right after the series began getting telecasted. Rob is very committed to his family and work. This has seen him steadily climb the ladder of success. The actor has been entertaining people with his funny antics for a relatively long time. Moreover, he has been providing the audience with the much needed comic relief in their stressful lives. Meanwhile, Rob's wife Kaitlin has an estimated net worth of $16 million. Just like her husband, she makes most of her income through her career as an actress, producer, comedian and model. 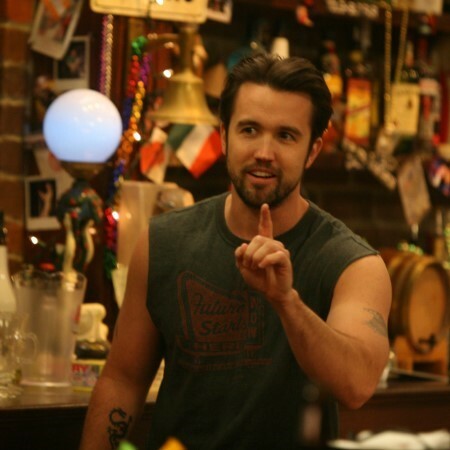 After completing his schooling, Rob McElhenney went to New York to pursue a career as an actor. Rob initially got very lucky as he landed a minor role in a film starring Brad Pitt and Harrison Ford. But unfortunately, his part later got deleted. Rob then did some small roles in a few films which mostly went unnoticed. At the time, the actor worked as a waiter to ensure his daily livelihood. 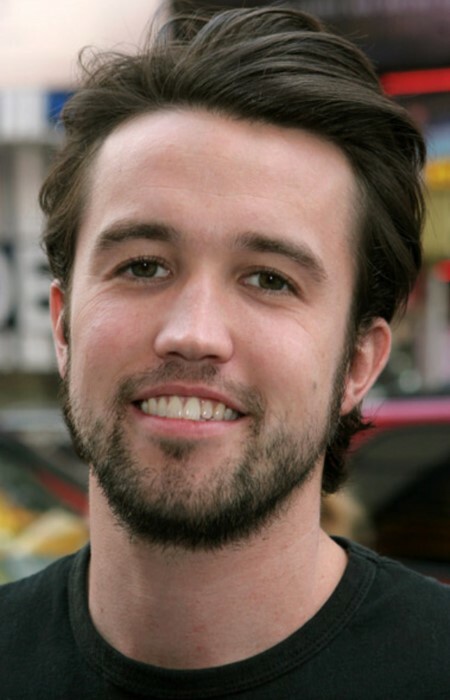 McElhenney later moved to Los Angeles where he tried his hands on writing scripts for Television shows. His biggest breakthrough arrived when one of his scripts was selected by the Fox Extended TV channel. This turned into a popular sitcom known as It’s always sunny in Philadelphia. The show that began in 2005 has been a huge success. In fact, on 1st April 2016, the series was renewed for 13th and 14th season. The sitcom was nominated for the Satellite award, People’s choice award and Primetime Emmy award a couple of times. Moreover, the series won the People’s choice award twice in 2012 and 2016 in the category of the favorite TV comedy show. Apart from writing, producing and acting in his TV show, Rob has made appearances in other TV series as well, most notably Lost and Fargo. Born on 14th April 1977 in Philadelphia, Pennsylvania. He has two sibling brothers. His parents divorced when he was 8 after his mother came out as a lesbian. He graduated from Saint Joseph's Preparatory School in Philadelphia. He is best known as an actor, creator and executive producer of It's Always Sunny in Philadelphia. He had a minor role in the movie The Devil's Own in 1997. His manager pitched his idea of It's Always Sunny to FX while he was still waiting tables in between jobs. He played the role of Also during an episode of the popular series Lost. He married co-star Kaitlin Olson on 27th September 2008 with whom he shares two sons named Axel McElhenney and Leo McElhenney. He featured alongside Tobey Maguire in the movie Wonder Boys (2000).